I strive to avoid logo design cliche meanings with a business logo, or company logo, that is likely to have cliche’s in abundance. Some areas that fall into this trap, of the top of my head are : barber shops, dating sites, photographers etc. Being aware of the logo design cliché trap is important if you want to be able to offer your client something a little more unique than what they were possibly expecting. However, it’s not always possible to be different for the sake of being different in a quest to avoid the deathly cliché. Some businesses you just can’t escape from the logical visual connection, or at least on the surface is appears you cannot. But as with anything, you can try to push the boundaries a little if you feel it could work. To buck the trend so to speak. However, you can, if you ave the confidence and motivation, look for alternative ideas to represent what might be on the surface a cliché trap. A personal example of this was a project I completed earlier this year, ID Barbers. When I was approached by the client, my heart sank. All I could see were red and white stripy things, scissors and clippers. Just look around any regular small town and you will see how the lack of imagination that goes into men’s barbershop logos. In Seaford, where I live, it’s quite depressing. Right from the start I knew I did not want to fall foul of the obvious, but half the battle is convincing the client that what they might see as the obvious route, is in fact just ‘too’ obvious. With a receptive client, which always helps, I suggested my plan of attack. To buck the trends for a typical male barbershop and go for something far more classy, yet still applicable. Fortunately for me, the client agreed and had actually intended herself to not fall foul of the ‘grim reaping barber cliché’. With a clearer mind and an awareness of the killer ‘cliché’, alternative and very applicable visuals can be created. It just needs a wider and deeper awareness of design in business and a solid appreciation of how much a lazy and easy ‘cliché’ design can bode badly for you as a designer and the client. As mentioned previously, confidence in yourself to take a new direction is so very important as is the desire to be constantly creative. I have made some terrible cliché mistakes in my past, some of which are just a lack of awareness on my behalf, lack of experience in general, lazy brief or sometimes down to a ‘stubborn’ client. A client that refuses to acknowledge how bland and potentially crippling opting for the safety of ‘obvious’ in logo design can be to a business (see ‘The Lucky Dog Home’). A firm hand is needed in such cases, but you can only be firm if you yourself are confident you can deliver something meaningful and workable. 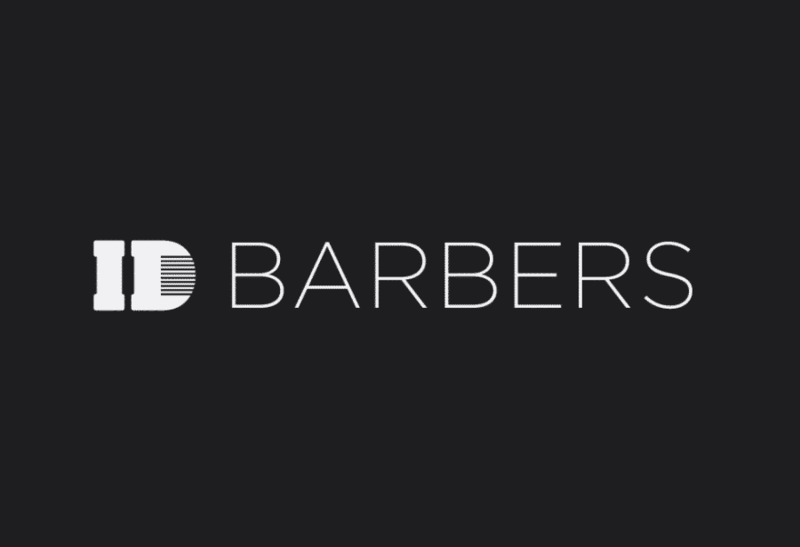 In the case of ID Barbers, I was fortunate to have a flexible client, and set of words that lended itself to creating the logomark. Just breaking the norm in expected colour schemes can be enough to escape the deathly grasp of the cliché reaper. Needn’t be groundbreaking science. If we had red ANYWHERE in that logo, I would have personally felt a failure. Original logo design can be so very tricky, it gets harder day by day. All the original ideas, the obvious ideas and the now ‘trending’ clever and trick ideas are being swallowed up on a daily basis. Each new project, requires that you ideally push harder and deeper to find something viable. For me personally, I am looking at ‘simplicity’ in my designs as well as focusing on strong ‘typography’ as the basis and foundation for what I do, where possible. To not fall foul of ‘optional extras’ as not optional. To take designs and visual associations closer to the skin. But to also know when you just have to go with the flow, and accept that at times, you will be asked to create the ultimate in cliché logo design. Just grin and bear it, or if it’s that painful, refuse the project. There is no doubt, being a freelance logo designer gets harder and harder, if that is, you strive to be original, unique or just motivated to do a good a job as is humanely possible. Undoubtedly, logo design as a career, is a challenging path to take. To be aware of ‘clichés’ from the ‘off’ is a strong starting point. To also make the client aware of the problems associated with a cliché design is very important. If nothing else, it helps assure the client you are aware of such nastiness. Ask yourself with each new logo project, how can I avoid the obvious and logo design cliché? At least then you are aware… If you subsequently, for any reason, have to incorporate any form of ‘cliché’ meaning into your design, you did so knowingly. That’s a big difference to not knowing or being aware.